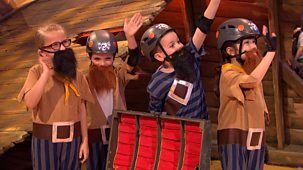 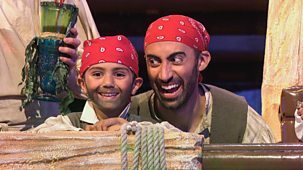 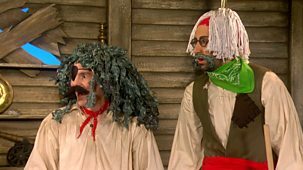 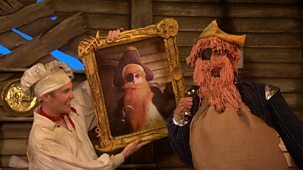 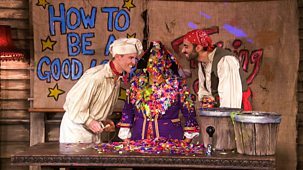 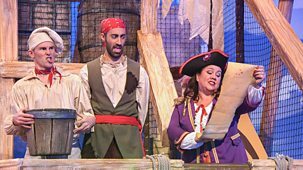 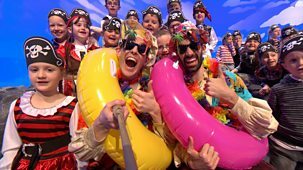 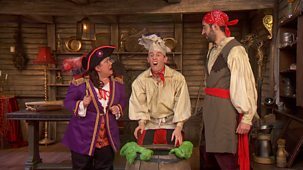 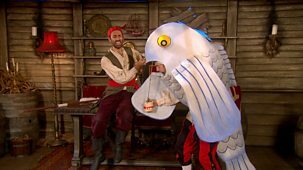 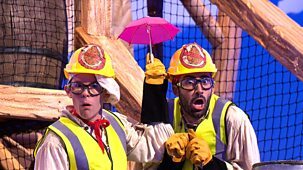 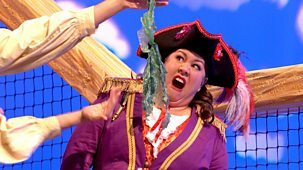 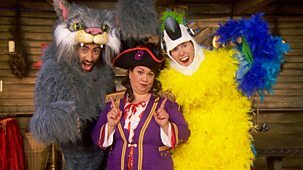 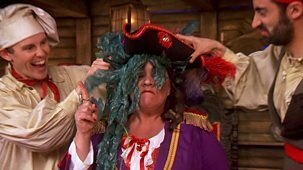 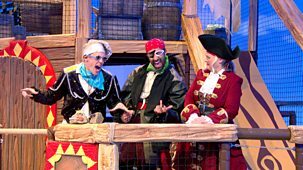 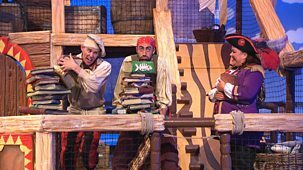 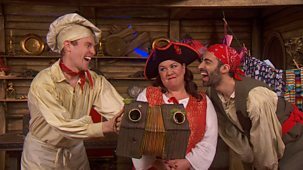 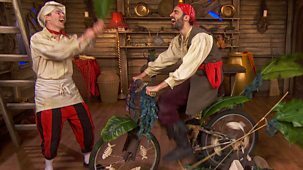 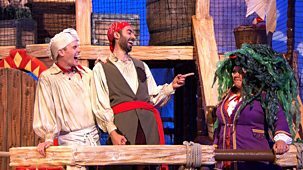 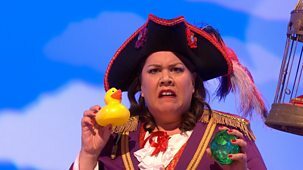 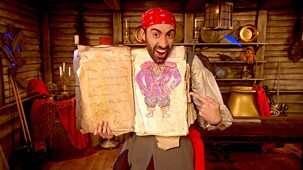 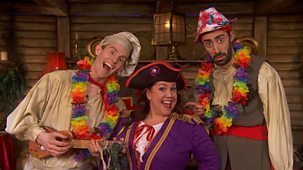 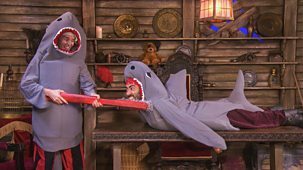 Pirate-themed game show. 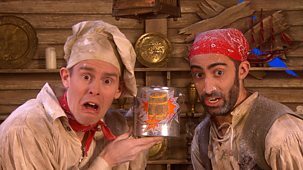 Captain Sinker has a chest full of chocolate coins. 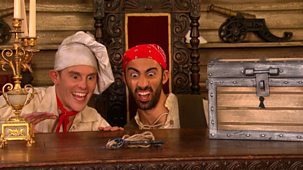 Cook and Line can't resist the temptation, even though Sinker's stash is booby trapped! 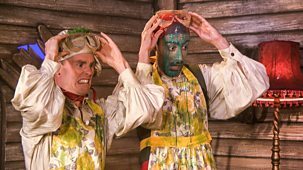 Series 4: 18. 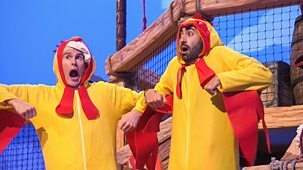 Are We Having Fun Yet? 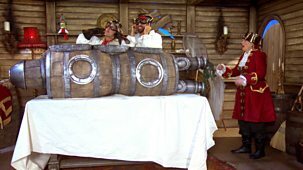 Pirate-themed game show. 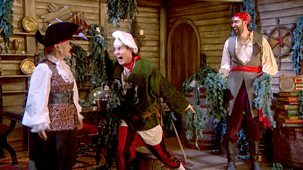 Captain Sinker and her crew have had enough of landing in the ship's mess, so they decide to make a plank for Gem to walk. 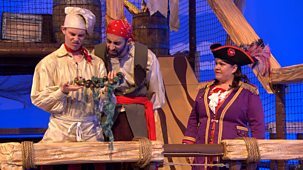 Pirate-themed game show. 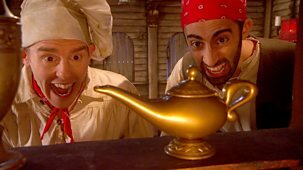 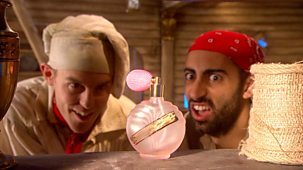 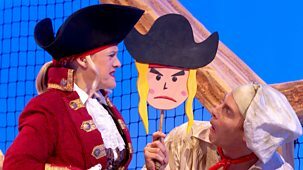 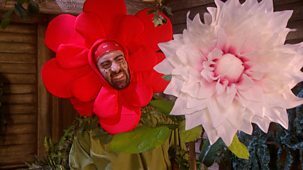 Cook and Line are big fans of Captain Sinker's new perfume but when they use it all up, they decide to make their own replacement. 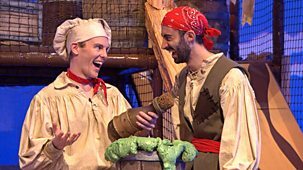 Pirate-themed game show. 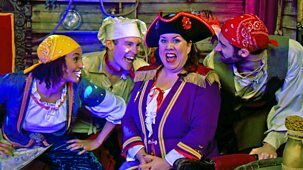 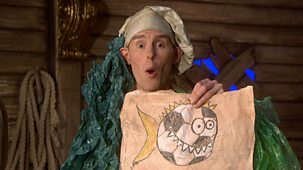 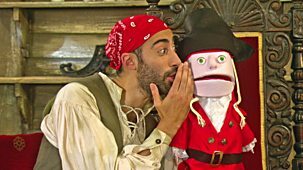 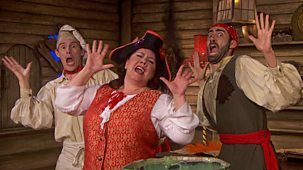 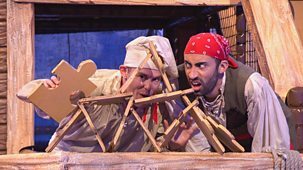 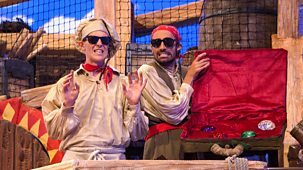 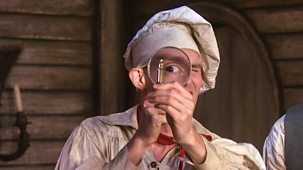 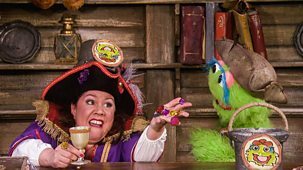 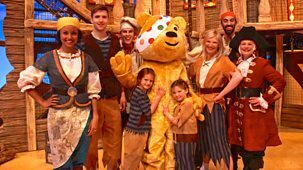 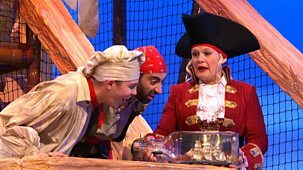 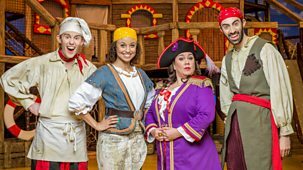 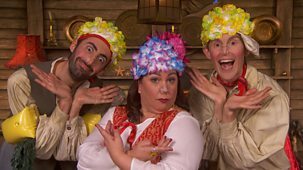 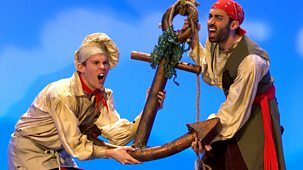 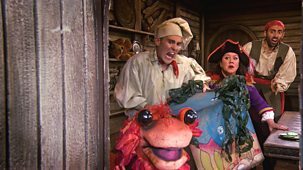 Captain Sinker has banged her thumb and is alarmed to hear that on pirate ships, the crew's cook was often the doctor too. 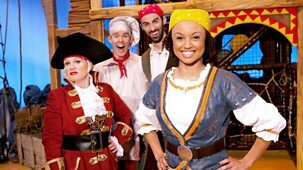 Pirate-themed game show. 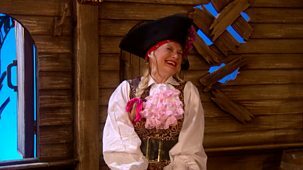 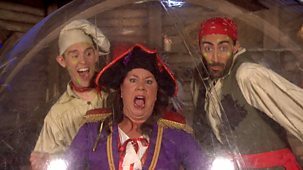 It's Captain Sinker's birthday and Cook and Line are throwing her a surprise party!